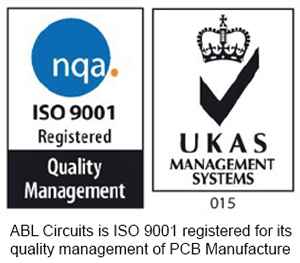 ABL Circuits Ltd recently received a phone call from a company in urgent need of a PCB Solution. The company specialises in restoring vintage aircraft, including Spitfires, Avro Lancaster’s, Douglas DC3 Dakota’s etc. They offer a unique service, requiring highly skilled staff and techniques. They approached ABL Circuits because we could offer the complete PCB (Printed Circuit Boards) solution, from the electronic design, to CAD layout, prototype boards and assembly. The customer needed a solution to a problem they faced with the communications between crew members and the pilot, as they were getting feedback across the system. They wanted the ability to enable different communication channels to be isolated, so they had a requirement for an audio isolator PCB, and came to ABL Circuits to achieve it. Our electronics expert produced a circuit diagram and parts list to meet their specifications, and once approved ABL Circuits created the CAD board layout to suit the application. We manufactured the PCB’s in a couple of days and assembled them in a day to provide this impressive customer with working PCB prototypes. They were delighted with the product as it worked perfectly solving their communication problem and ABL Circuits are very proud to have been involved with this prestigious company and assisting with the Battle of Britain Memorial Flight.